Established in 1960, our law firm has served the residents and businesses of northern Minnesota and the Iron Range for more than 50 years. During that time, we have grown to include two other offices in the region, and we have earned a reputation as one of the area's leading full-service legal practices. This success is the direct result of our exceptional legal abilities and unwavering commitment to those we serve. In addition, our attorneys have more than 160 years of combined legal experience among them, so you can trust your case will be handled by a local attorney with the skills and resources necessary to help you achieve the best possible outcome no matter how complex or challenging your situation. 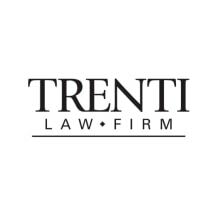 For more information on how the Trenti Law Firm can best serve your needs, we invite you to contact our law office or visit our website to schedule a free initial consultation.